Apart from the obvious seaside breaks such as Blackpool, Brighton and Cornwall, there are many other great destinations for seaside breaks in the UK. In the late 19th century, soon after the Industrial Revolution, the UK saw a dramatic increase in seaside resorts. Northern areas such as Blackpool, Bridlington and Sheffield began to see tourists around this time as people from the mill towns such as Manchester, Leeds and Sheffield began to find the idea of visiting the seaside quite attractive. Even southern towns such as Brighton, Newquay and Bournemouth began to see this trend, and it continues to this day. These are still popular locales for day trippers, especially once summer comes around. Blackpool is a town on the coast of the Irish Sea in the northwest of England, it flourished during the railway expansion in the 19th century. Further south on the Irish Sea coast is Llandudno, a resort town that similarly began to see its popularity grow with the growth of the railways. During Wake Week the cotton mills would all shut down and the mill workers from such places as Liverpool and Manchester would visit the seaside towns. Nowadays it is the summer time when the tourists come in droves. Blackpool is known now for its beautiful beach, amusement arcades, and it’s wide network of hotels and B&Bs. It remains as popular a destination as it was in the old days. Llandudno is called the “Queen of the Welsh Resorts”, though this could be for the Victorian Extravaganza event that celebrates the roots of this beautiful town. It is also famous for being mentioned in the Alice in Wonderland by Lewis Caroll, and it is where the Alice on whom the book was based often went on holiday with her family. Brighton and Bournemouth both lay on the English Channel Coast and are both popular seaside resort destinations. Brighton is in East-Sussex, and like many other seaside resorts owes much of its popularity to the railway expansion. Londoners would often ride the rails to take a brief summer break in Brighton. It is also home to the West Pier which seems to resist many of the restoration attempts and suffered two fires back in 2003. There are plans by Mark Barfield, the architect behind the London Eye, to erect a 183m observation tower as a new landmark in Brighton. Construction began in 2007 and is expected to be completed by the spring of 2010. Bournemouth on the other hand owes its popularity to its excellent surfing conditions. Because it is close to Poole Bay and the Jurassic Coast it has become a popular destination for summer holiday. Bournemouth was founded in the year 1810 but wasn’t officially recognised as a town until 1870. On the North Atlantic Coast, on the English side of the Severn Bridge, is Newquay. It began to see a boom in popularity in the 1960’s as it also has excellent surfing conditions. So much so that during the summer the population increases from 22,000 to 100,000 people. Newquay was built up as a town over the course of the 20th century, it’s often referred as “the Blackpool of West Country” and is a popular destination for hen and stag parties. Why not try a UK seaside break this summer, you will be pleasantly surprised at what can be found on your doorstep. 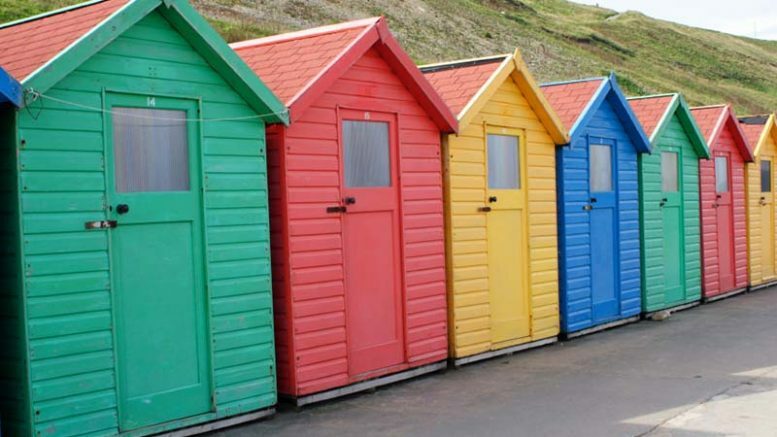 Be the first to comment on "Escape to the UK seaside this summer…"